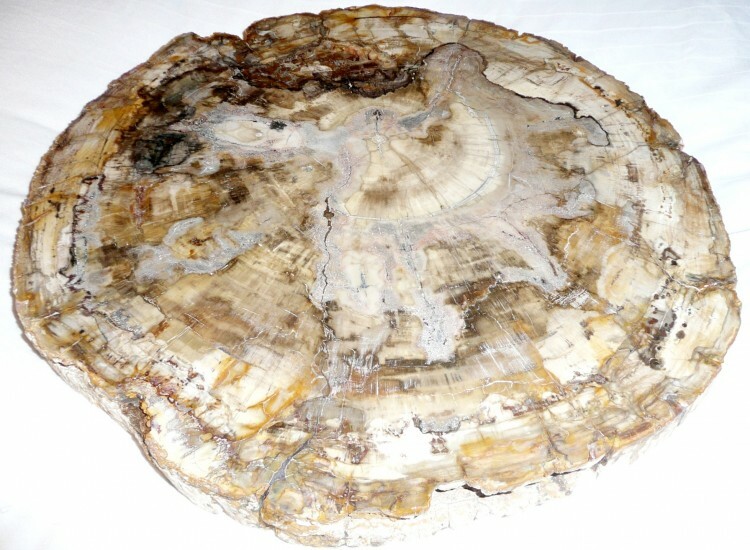 A tree slice of petrified wood from Madagascar, dating from the Triassic Period, 250m to 200m years old. 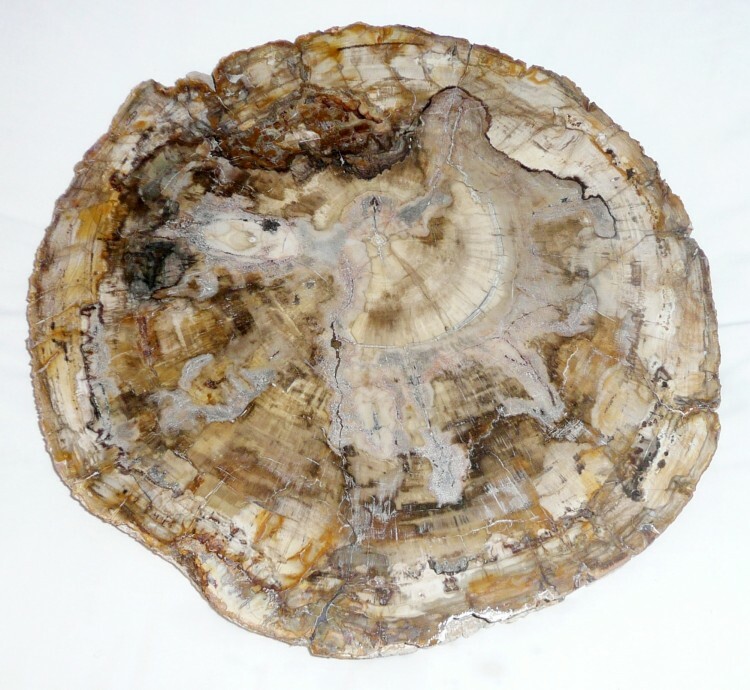 Petrification involves the replacement of the wood by minerals in solution, usually silica or calcium carbonate. Re-crystallization of silica, due to pressure & heat, together with impurities in the solution, causes new forms of the mineral. It is often impossible to attribute silicified or similarly preserved woods to particular plants or trees. 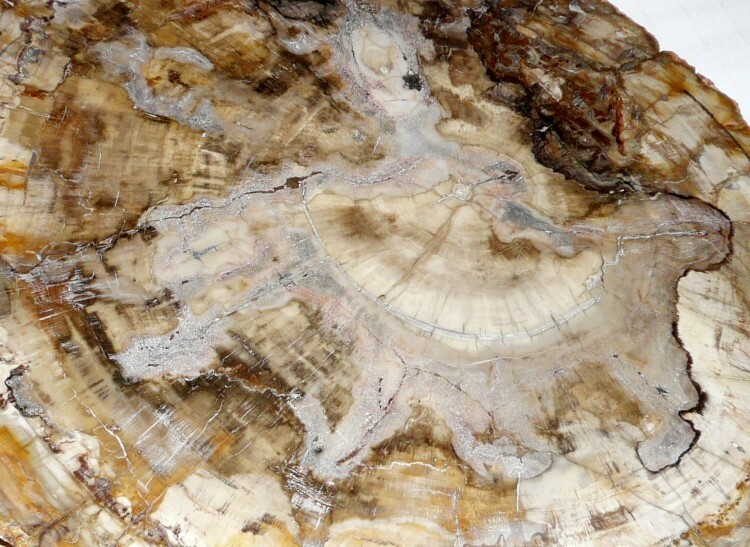 The wood is generally softwood, from the Araucaria family, which includes Ginkgo and Monkey Puzzle Fossil wood from the Island of Madagascar is particularly beautiful as, once polished, the internal structure of the original tree can be seen. 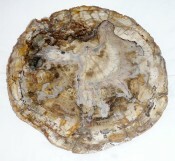 Most Madagascan petrified wood dates from the Triassic period. A beautiful decorative piece, either free standing, or hung on a wall.